Lawrence was abandoned in a house in rural Arkansas along with several other dogs but with no food or water. Somehow these dogs survived long enough to be rescued. Lawrence was the only friendly one of the group who is adoptable. Lawrence gets along well with other dogs and can sometimes show a bit of little dog attitude but he is not overly difficult. He is up to date on shots and heartworm negative. He has been neutered. 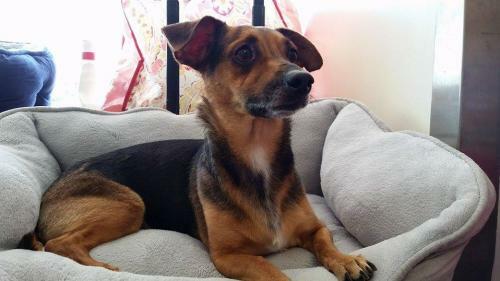 Lawrence is approximately 5 years old, and may be a Chihuahua/Dachshund mix. He is a super handsome black and tan dog!